Integrated DNA Technologies sells short strands of DNA called oligonucleotides. In order to better understand how these are useful, you'll have to know a bit about DNA itself. DNA is "the blueprint for life" and encodes instructions for all of life's processes. DNA is a complex long thin molecule (strand) that is made from 4 possible building blocks called "bases". These bases are called Adenine, Cytosine, Guanine and Thymine, and the precise order of these bases is a code for information. In living organisms, DNA strands can be millions of bases long and therefore contain huge amounts of information. This complexity is responsible for the vast complexity and diversity of life on earth. The way that one strand of DNA specifically binds a second strand of DNA allows scientists to use short DNA strands (oligos) as research tools. A short synthetic piece of DNA (usually around 20 bases long) can be used to bind or find its matching sequence even in a complex mixture of millions of unrelated pieces of DNA. It is this unique fact that allows researchers to decode and study the genetic makeup of any living organism. Using new oligo-based technologies, a revolution is underway where we are beginning to catalog the complete genetic makeup of hundreds of living things, ranging from bacteria to humans. The human genome alone contains over 3 billion bases of DNA, so projects of this kind tend to be very complex and often take years to complete. Scientists often start the research knowing the DNA sequence for the organism that they are interested in studying. Given a known DNA sequence, they can easily design a short oligo that can be used to perform a variety of tasks. It is this short single-stranded DNA that the researcher orders from IDT. Living systems don't discriminate DNA that is synthesized chemically from DNA taken directly from an organism, allowing researchers to use IDT's custom made oligonucleotides as if they had existed naturally. IDT manufactures the oligo using chemical DNA synthesis machines designed and built in-house. We've refined the process to the point where we can receive an order as late as 1:00pm and have the desired oligo in the researcher's hands the next morning. Our customers range from small university labs of only a few scientists to global pharmaceutical companies, and everything in between. Integrated DNA Technologies (IDT) today announced the launch of the first Cas9 enzyme variant that extensively reduces off-target effects in CRISPR genome editing without compromising on-target activity. Integrated DNA Technologies (IDT), the world leader in custom oligonucleotide synthesis, announces the winners of its 2016 Sustainability Award contest. Integrated DNA Technologies (IDT), the global leader in nucleic acid synthesis, announces its 2016 Platinum Level sponsorship of the International Genetically Engineered Machine (iGEM) competition. Caribou has granted IDT worldwide rights to commercialize CRISPR-Cas9 reagents under Caribou™s intellectual property. Sophia Genetics announces a strategic partnership with Integrated DNA Technologies to accelerate the adoption of next generation sequencing (NGS) in routine clinical diagnostics. In a recent DECODED Online entry, Integrated DNA Technologies (IDT), the world leader in oligonucleotide synthesis, provides an overview of the CRISPR/Cas9 system to scientists looking to enhance their genome modification strategy in model organisms or cell lines. To accelerate the understanding of disease and the development of gene knockdown therapies, Integrated DNA Technologies (IDT) is facilitating the advancement of a new transfection technique. Integrated DNA Technologies (IDT), and Ubiquitome today announced a partnership to develop the Ubiquitome Freedom4 Real-Time RT-PCR Ebola Virus Assay for easy use in the field. Integrated DNA Technologies (IDT) has acquired a license from ELITech Group (Bothell, WA) to manufacture and supply MGB Eclipse® Probes for use as a component in human in vitro diagnostic tests. In a recent DECODED Online article, scientists at Geneseeq Technology, Inc., a cancer diagnostics company, demonstrate improved target capture methods for increasing reliability of next generation sequencing data, particularly important for clinical diagnostics. Integrated DNA Technologies (IDT), the world leader in oligonucleotide synthesis, today announced the introduction of xGen® Predesigned Gene Capture Pools and Plates. In DECODED Online, Integrated DNA Technologies (IDT), the world leader in oligonucleotide synthesis, looks at how its novel RNase H2–dependent polymerase chain reaction (rhPCR) method has helped researchers to detect differential amplification of alternatively spliced latrophilin (Lphn) transcripts in mice. Integrated DNA Technologies (IDT), the world leader in oligonucleotide synthesis, is sharing its wealth of qPCR expertise and knowledge in a special qPCR compendium edition of the DECODED newsletter, available free of charge online. Integrated DNA Technologies (IDT) announced today a minority investment by growth equity investor Summit Partners. IDT’s founder, Dr. Joseph Walder, will remain the company’s majority owner. Additional terms of the investment were not disclosed. Integrated DNA Technologies (IDT), the world leader in oligonucleotide synthesis, advances CRISPR research with the use of its gBlocks Gene Fragments. Detailed online in the latest issue of DECODED, CRISPRs can be used in conjunction with CRISPR associated (Cas) proteins, for example Cas9 has been well documented, to recognize and cleave complementary DNA. This mechanism, which is found naturally within bacteria and archaea to protect cells from foreign sequence, has been harnessed for use in genome editing. IDT offers pre-designed and custom assays, primers and probes for qPCR Sep 28, 2011 Integrated DNA Technologies (IDT), the world leader in oligonucleotide synthesis, provides a broad range of custom qPCR assays, primers, and probes. 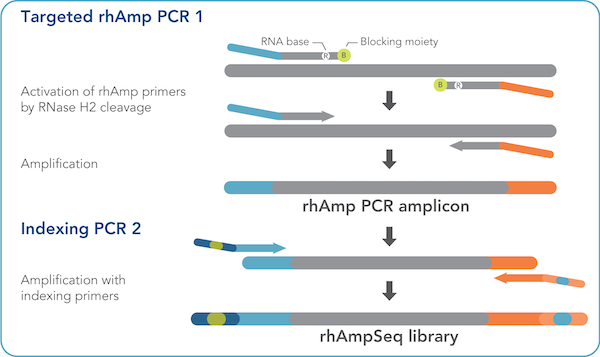 PrimeTime® qPCR Assays are available in three different sizes (Mini, Standard, and XL) and provide the forward and reverse primers, as well as a hydrolysis probe in a single tube. Primers and probes are also available separately, including the new Double-Quenched Probe which increases accuracy and sensitivity through the incorporation of an internal ZEN quencher. As such, users are provided with an option to meet any experimental requirements. 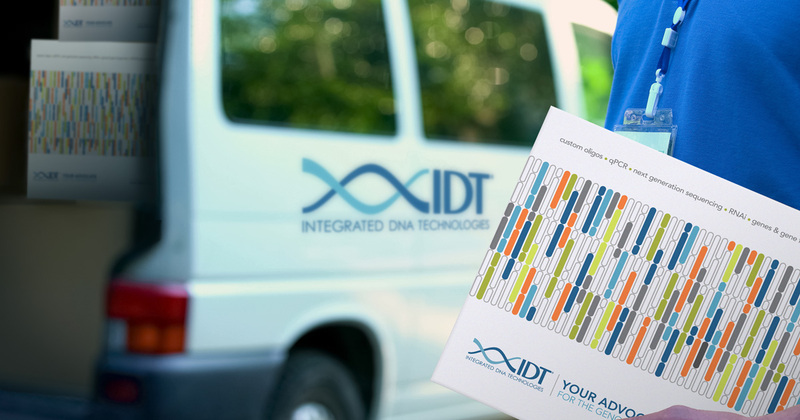 IDT offers oligonucleotides to suit all applications Feb 3, 2011 Integrated DNA Technologies (IDT), the world leader in oligonucleotide synthesis, offers a comprehensive oligo manufacturing service with rapid turnaround times. All oligos are provided deprotected, desalted, quantified using UV spectrophotometry and checked for quality using mass spectrometry as standard, to provide the highest quality and yield accuracy currently available. IDT introduces downloadable qPCR user guide Dec 16, 2010 Integrated DNA Technologies (IDT), the world leader in oligonucleotide synthesis, has developed an extensive quantitative real-time polymerase chain reaction (qPCR) user guide, which is available to download for free. IDT Launches Michael Zuker’s UNAFold Page Dec 13, 2010 Integrated DNA Technologies (IDT), the world leader in oligonucleotide synthesis, and Rensselaer Polytechnic Institute (RPI) today announced the launch of the UNAFold secondary structure prediction software at IDT. The software will be used to more accurately detect secondary structures within sequences submitted by customers, and will be made freely available through a web-based interface on IDT's SciTools website. IDT enters exclusive agreement with 454 Life Sciences to provide custom primers for GS FLX Titanium Chemistry Oct 6, 2010 Integrated DNA Technologies (IDT), the custom biology company, has signed an exclusive agreement with 454 Life Sciences, a Roche company, to provide researchers with custom primers for the GS FLX Titanium Chemistry, used on the company's GS FLX System and GS Junior System. 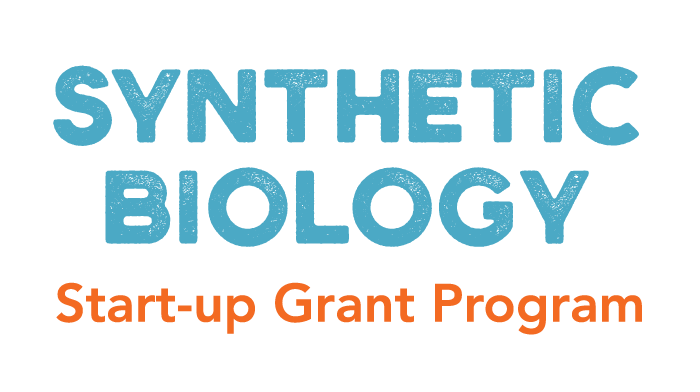 IDT is awarded further funding for gene silencing research Jul 26, 2010 Integrated DNA Technologies (IDT), the world leader in oligonucleotide synthesis, recently received a Phase II SIBR grant, which will fund the ongoing ‘Gene Silencing with U1 Adapter Oligonucleotides' research project. As a new class of synthetic nucleic acids, the U1 adapters are capable of down-regulating the expression of genes of interest at the pre-mRNA stage, via a mechanism of action distinct from antisense or siRNA. IDT signs contract to supply Research Councils UK with custom oligonucleotides Jul 13, 2010 Integrated DNA Technologies (IDT), the world leader in oligonucleotide synthesis, has signed a three year contract with Research Councils UK (RCUK) for the supply of synthetic oligonucleotides. RCUK coordinates the UK's seven research councils, enhancing the overall impact and effectiveness of the research they fund. 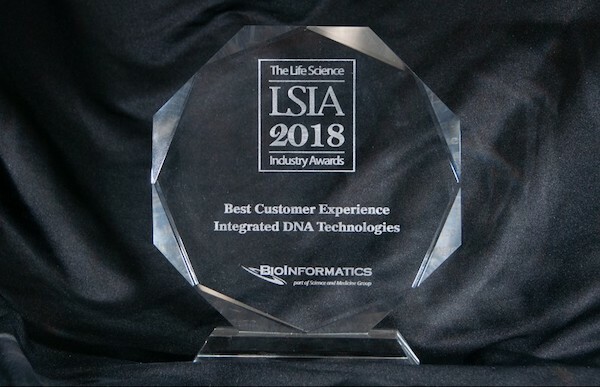 IDT rises to 6th in ‘Best Places to Work’ May 27, 2010 Integrated DNA Technologies (IDT), the world leader in oligonucleotide synthesis, has been named one of the top 10 ‘Best Places to Work in Industry', in a poll of research staff conducted by a leading magazine. Published in the May issue of ‘The Scientist', the poll put IDT 6th in the small company category, exceeding its 2009 placement of 8th. IDT launches Double-Quenched ProbesTM to increase qPCR sensitivity and precision May 6, 2010 Integrated DNA Technologies (IDT), the world leader in oligonucleotide synthesis, has introduced a new double-quenched probe, which increases the accuracy and reliability of 5' nuclease qPCR experiments. While traditional probes have 20-30 bases between the dye and quencher, this novel proprietary probe design positions an internal ZEN quencher only 9 bases from the 5' fluorophore. IDT earns ISO 9001:2008 certification at its European oligonucleotide production headquarters and adds GMP service for oligo drug development Apr 28, 2010 Integrated DNA Technologies (IDT), the world leader in oligonucleotide synthesis, today announced that the production processes for synthetic oligonucleotides at its European headquarters in Leuven, Belgium have achieved ISO 9001:2008 certification. Integrated DNA Technologies and Glycon Partner in Australia Apr 16, 2010 Integrated DNA Technologies (IDT) and Glycon Pty Ltd of New South Wales, Australia, are partnering to bring IDT's market leading products and services to researchers in Australia. IDT shares its expertise at qPCR 2010 in Vienna Apr 8, 2010 Integrated DNA Technologies (IDT), the world leader in oligonucleotide synthesis, will be presenting at the upcoming qPCR 2010 International Symposium, 7 - 9 April, in Vienna.